The Texas Rangers narrowly beat the Chicago White Sox 6-5 on Wednesday, thanks in part to Hamilton’s homer in the first inning. Other notable highlights included Dr. Bill Carroll’s triumph in the Dollar Hot Dog Eating Contest, totalling out at an impressive 7 for the evening, and the free Venom “Death Adder” energy drink after the game. Joining him in the mayhem were Dr. Shelly Sanders and Nathan Sanders, MA students Grant Perkins and Todd Womble, and undergraduate majors Lydia Melby, Bethany Bradshaw and David McMichael. It’s time to dust off that monocle and join us for the unveiling of the 2010 Shinnery Review! 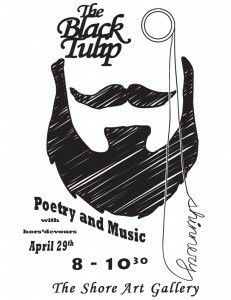 When: Thursday, April 29, 8-10:30 p.m.
What: Published authors reading original poetry and fiction from ACU’s student-run arts magazine, The Shinnery Review (and elsewhere), live music, hors d’oeuvres and more. You can pick up your FREE copy of the 2010 edition of the Shinnery at the door! Join Dr. Sanders’ Sport Literature class on a trip to Rangers Ballpark in Arlington to see the Texas Rangers vs. the Chicago White Sox. Game plan: The carpool will depart from Chambers Hall at 2:01 p.m. We’ll buy tickets there (cheap seats: about $10), enjoy the game, then drive back that evening. Questions? : Contact Shelly at shelly.sanders@acu.edu or Todd Womble. Please RSVP so we’ll know how big of a crowd to expect.